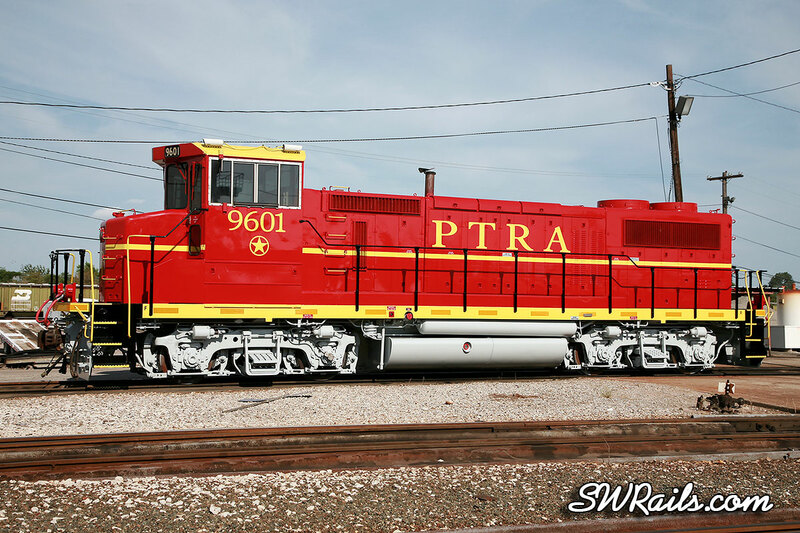 PTRA’s New Image – It’s Official! It’s official! 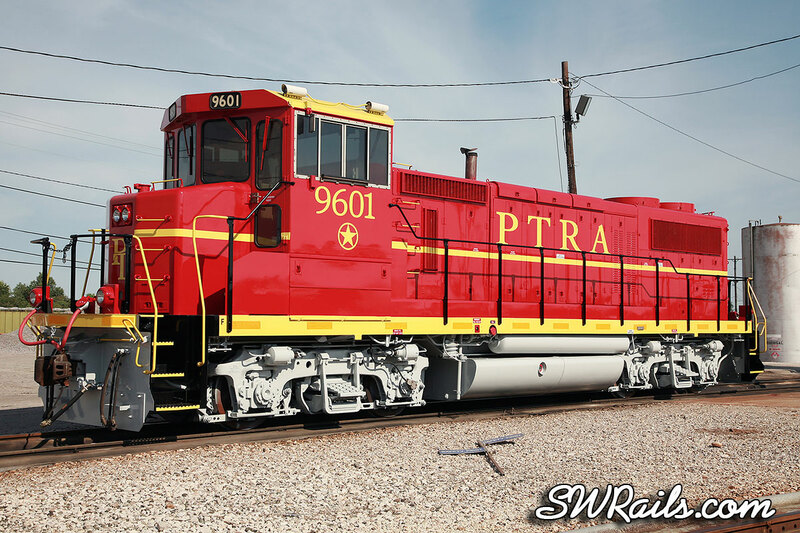 PTRA debuted its new image today. MK1500D 9601 pulled out of PTRA’s North Yard roundhouse shortly after mid-day. 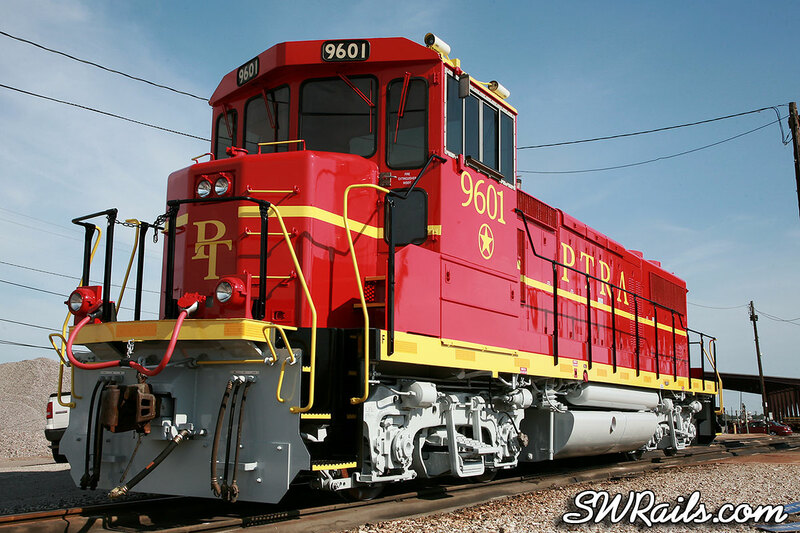 Plan A was for it roll out yesterday, but there were a few more details to be completed by the Wabtec mechanical team. Which was fine with me because my video job ran way over schedule plus there was a late afternoon thunderstorm yesterday in the North Yard area! Other, less noticeable changes were made to this unit. 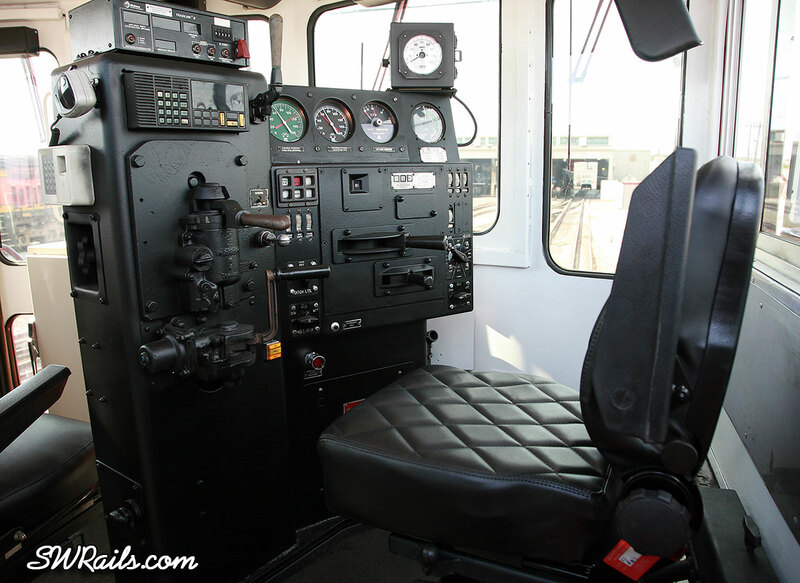 Locomotive handbrakes are electronically set and released with a push-button, cab windows were tinted darker than they had been, cab interior has been re-painted a bit lighter than before, and finally, cab seats have been upgraded with the top-of-the-line La-Z-Boy “Chill La-Z Touch Dual-Motor Heat Massage Rocker Recliners”. OK, I might have exaggerated that last improvement a bit. 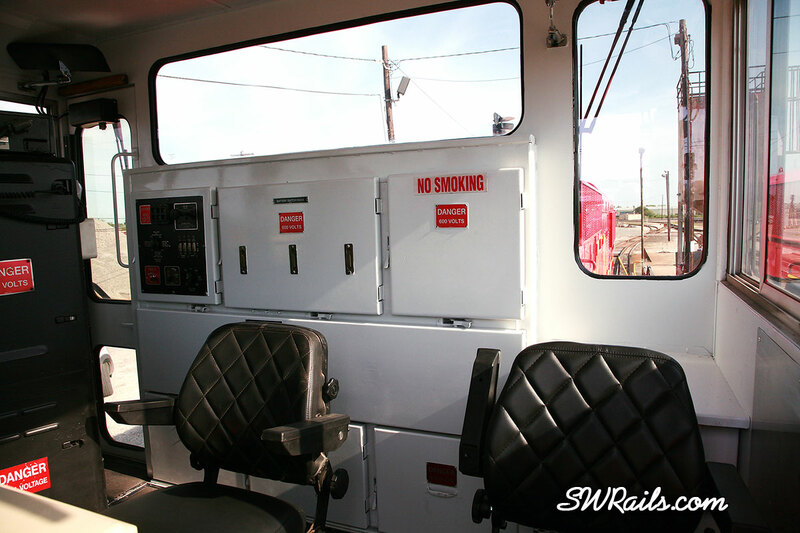 But new cab seats were installed that are more cushioned than the previous seats. I knew that OSHA and/or FRA had implemented regulations regarding noise levels in the cab, but I didn’t know that each unit was tested and the results documented in the cab. 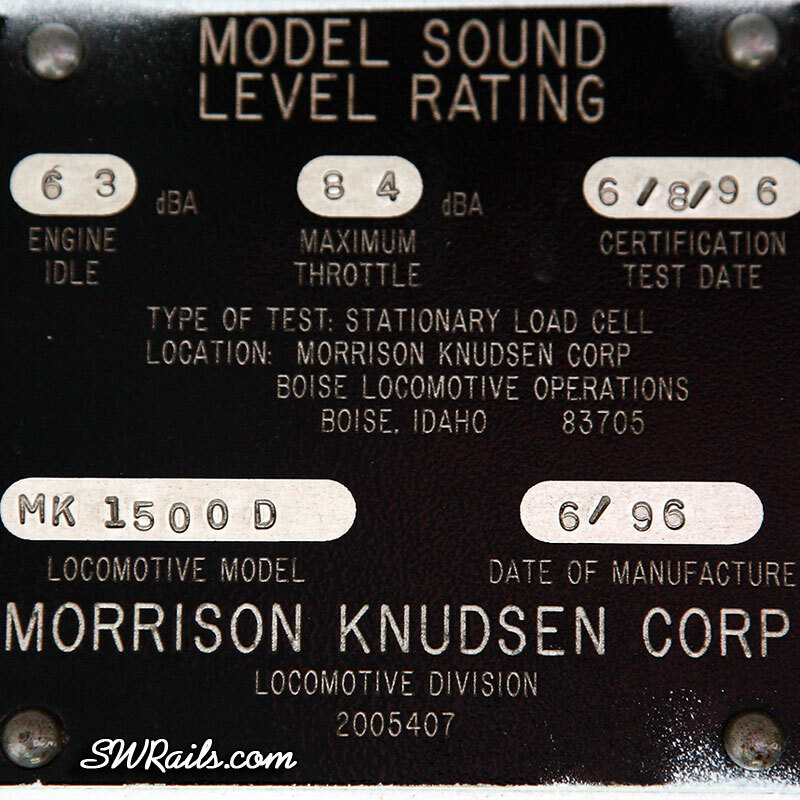 This plate was mounted on the front cab wall. 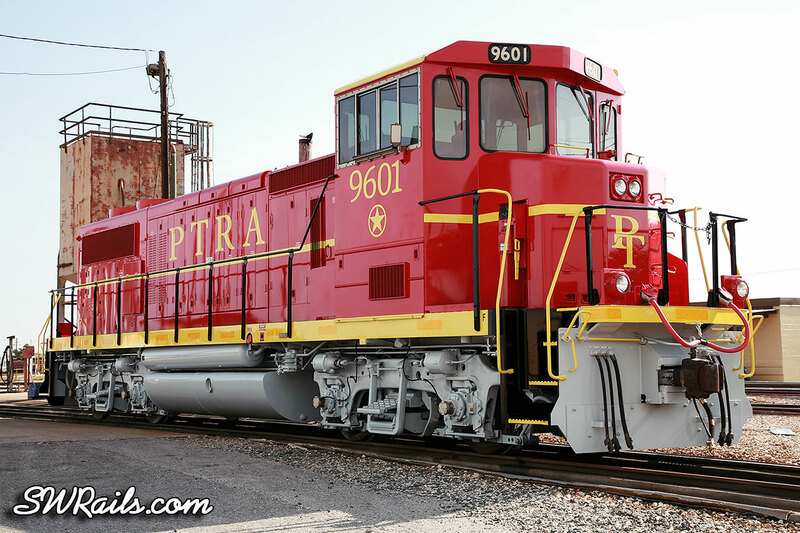 The PTRA expects to re-paint the other 23 MK1500D’s on its roster, sequentially, over the next 12 months. The only anticipated change is that subsequent re-paints will receive silver trucks vs. the light gray trucks of the 9601. Finally, a big “Thank You!” to PTRA management for taking the time to answer my questions and show me about the property. Good looking engine. I always favor red. Where is the horn? I can’t see the horn on any PTRA shot that I have. I do know the horn’s up there somewhere on top of the long hood because they’re really loud!